Gyes-SUITE® is an application that integrates all your enterprise solutions such as customer relationship management (CRM) or enterprise resource planning (ERP), into a transformational all-in-one system, providing business intelligence within an open framework. 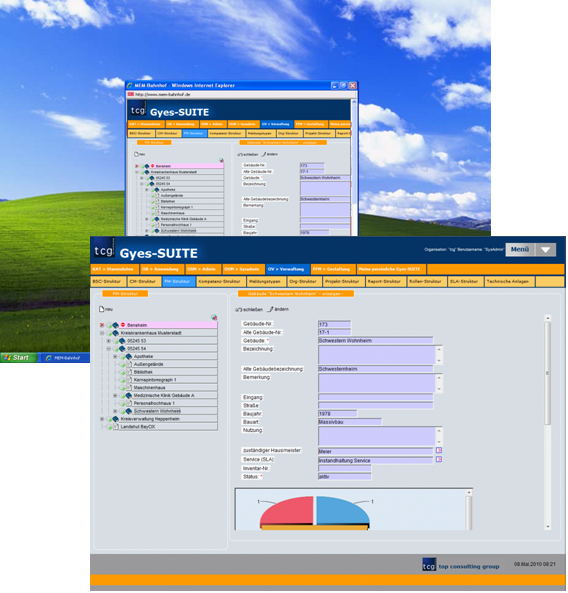 The Gyes-SUITE® solution supports critical business applications, allowing maximum use of both IT and human resources. 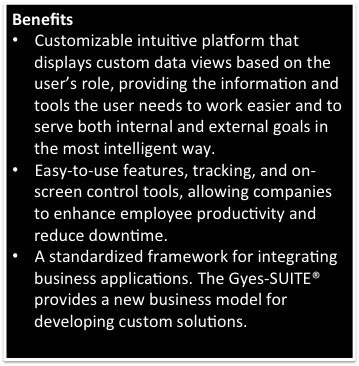 With Gyes-SUITE®, companies can streamline business processes and drastically reduce costs while maximizing revenue. 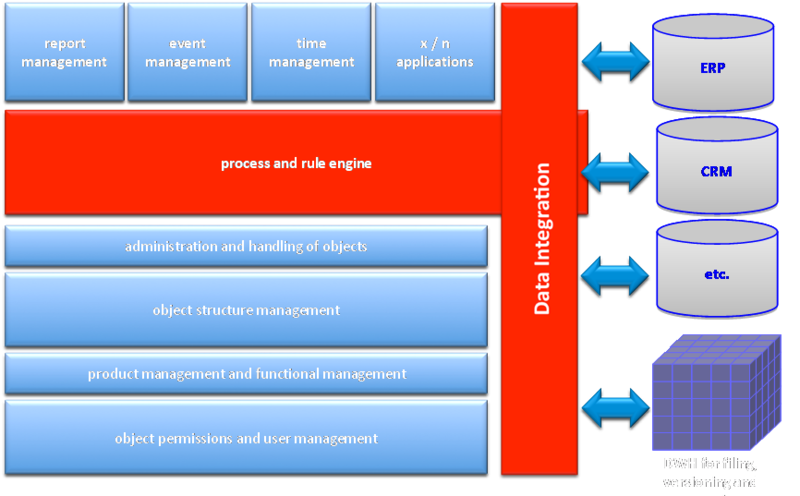 Gyes-SUITE® definitively eases company’s business processes while integrating applications related to their line of business. Localizations supported: de_DE, en_EN, etc. With the Gyes-SUITE® role-based scenarios, employees become more productive and responsive, since their views are tailored to the information they need. They have the most up-to-date information at their fingertips for addressing customer service problems or questions or handling projects.